Soothing relief for itchy allergy eyes. 1 or 2 drops into each eye 4 times daily, or as directed by your doctor. Always read the leaflet before taking this medicine. Do not use this product if you are sensitive to any ingredient. (Listed on the side of the carton). 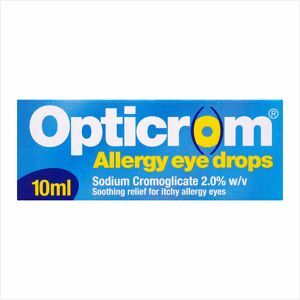 Soft contact lenses should not be worn whilst using this product.